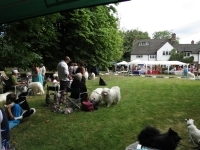 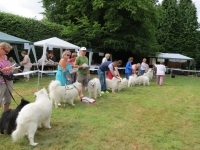 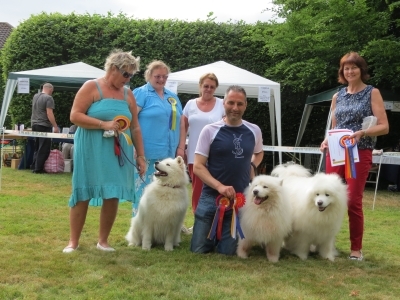 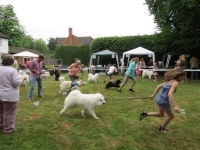 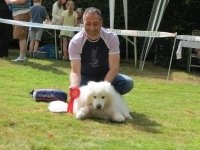 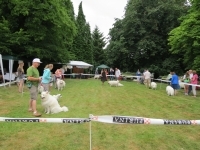 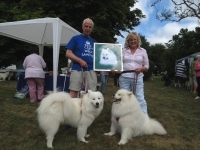 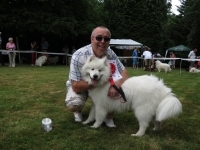 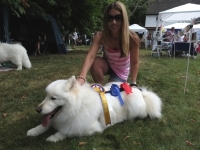 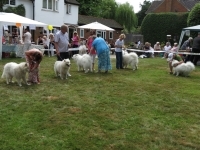 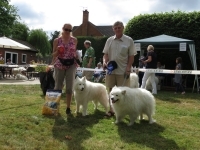 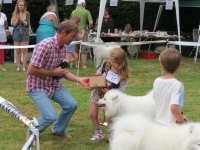 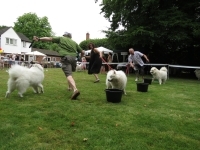 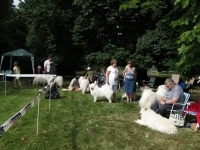 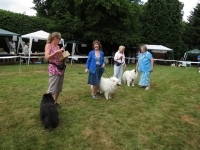 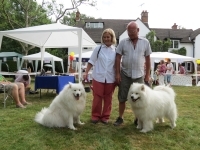 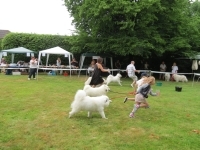 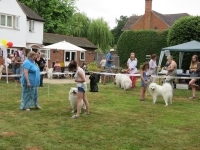 For reports on other Samoyed Association Rallies for Rescue, please click on the relevant year. 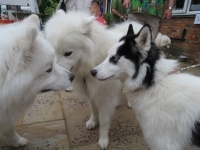 To view a photograph, simply click on its thumbnail below, the photograph will open in a new window. 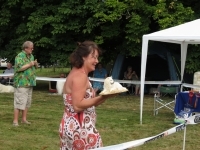 The "Guess the Weight of the cake" was won by Preston Haffenden with a guess of 8lb (it was 7lb 15 oz). 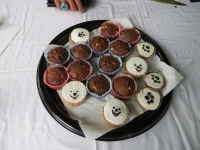 The cake was made and donated by Angie Chambers. 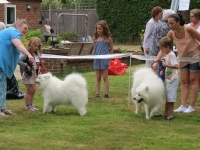 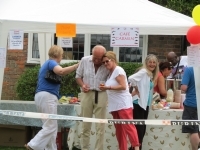 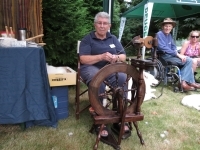 The life size Siberian Husky stuffed toys (donated by Marian & Sophia Giannattasio) were won by George Harris with a name of BeesKnees & Craig Davy with a name of Britney. 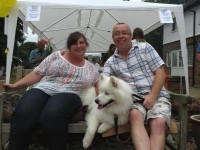 The Lotto Bonus Ball, as drawn on 20/7/13 was number 31 and the £10 prize was won by Brian Liang from London. 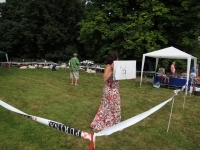 Thanks to all who contributed.